A while ago, an amazing video of some Australians larking around on a cliff near Sydney was making the rounds as the latest viral sensation. In the video, one of the group leaps of the cliff into the blue water below him with a Go Pro, and after he hits the water and returns to the surface and the bubbles start to clear from the front of the camera, a gigantic great white shark looms in a few feet away and swims by – narrowly missing the young man. As it turned out, this video was not a real-life close shave with a great white, but rather the latest viral marketing campaign for Go Pro cameras. 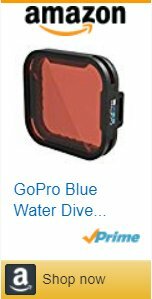 And it is precisely this type of robustness and ease of cross medium use that make Go Pros one of the ultimate diving accessories. However, don’t think they are just a toy for messing around with on a dive; they are able to produce some outstanding footage at professional quality that any natural history program would be proud of. 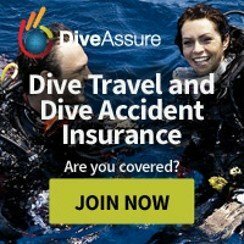 So how do you get started using a Go Pro on your dives? The first thing you need to decide is which Go Pro to acquire, and what accessories are crucial for shooting great video. You fundamentally have 3 choices: the Hero 6, the Hero 5, and the Hero. The clear winner across all boards is the Hero 6. It trumps the other two by having an inbuilt stabilizer – built in screen – no less – which reduces the need to spend more money on an external screen. It has better resolution and performance than the Hero 5 and Hero, and although it does match some of the insanely high performance specs of the Hero 5 Black, the fact that it can shoot in 4k, 1080 at 60 fps, and up to 2.7k at 30 fps will satisfy the most demanding users except possibly Mr Steven Spielberg. Overall, the Hero 6 offers the best performance and value for money balance of all the cameras available at the minute. 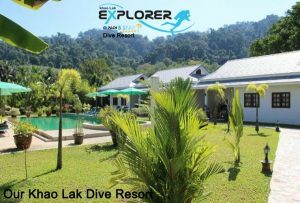 We have all the newest Go Pro models in stock at our office in Khao Lak as well as accessories for diving. 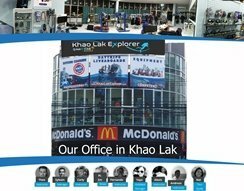 Come check our shop if you want to buy a GoPro in Khao Lak. The first thing you need to do, is to decide on which resolution to shoot in. Don’t be tempted to go hell for leather and try and shoot in the highest resolution and frame rate possible. Doing this will create more problems than it will solve. From the Hero 3+ plus model, the default mode is 1080p at 30 fps. This is more than adequate for the best underwater footages. Remember you are not filming a Hollywood blockbuster. This setting will provide great footage for almost any scenario, and with more experience you might then decide to alter the fps depending on what you are filming. The classic example of when you would use a higher fps is when shooting an animal, especially a fish, in hunting mode. This is so that you can capture the amazing feature most fish have of being able to throw their jaws out of their mouths to engulf their prey. Shooting a scene like this in 60 fps will enable you to create a super smooth slow motion sequence when it comes to editing the film. Shooting in 30 fps can create a somewhat stutter and less smooth sequence. As a general rule of thumb the faster the event you are filming is unfolding, the faster the fps you need to be using. 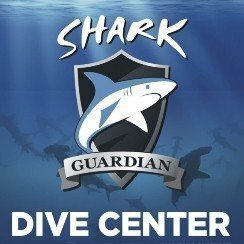 The key to great footage with good color saturation and exposure underwater is using the right filter for the conditions you are shooting in. If you are shooting in clear water up to a depth of about 6 meters then you don’t need to use any filters, in fact using a filter will probably produce a rather unpleasant red-color effect to your footage. Once you go deeper, then you need to use a correction filter. Which one depends on the water you are diving in. Once you descend past six meters, the red color light waves disappear, this results in the camera sensor getting confused and its white balance metering getting off track. Which results in footage with an overwhelming blueish hue. To remedy this, you need to use a red filter on the lens. This red filter adds back the vibrant colors needed to create rich and interesting videos. 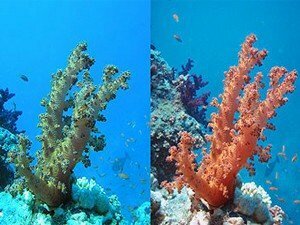 Red filters are best used in tropical blue waters and between a depth of 5 to 20 meters. Magenta filters are the answer for green waters, but not only do they help put back the vibrant color in the footage, they also help improve and bring back color contrast which gets distorted in green water. Like red filters, they perform at their best between a depth of 5- 20 meters. Once you go beyond a depth of twenty meters, you have lost so many wave lengths of light that one filter is just not going to cut the mustard anymore. In order to shoot interesting and colorful videos you will need to start using a video light system. Which system you choose is really dependent on your budget. The range goes from enormous systems costing thousands of dollars to some much smaller light setup that fit comfortably on a Go Pro handle and can be used along with the camera with one hand only. One thing to note though is that along with the lights you will need to buy a tray and handle to be able to properly mount your lighting system to the camera. 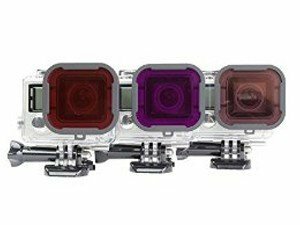 There seems to be tons of accessories for the Go Pro – which should I get first? 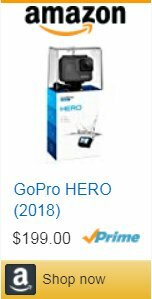 Browsing through all the accessories available for a Go Pro can be somewhat of a nightmare. 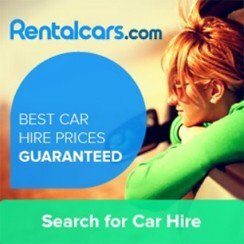 However, the best initial accessory to invest in is some sort of handle or holding accessory. 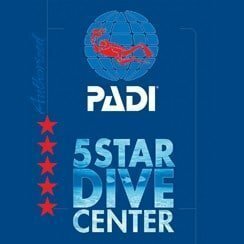 This is important since it improves your stability and control – especially underwater. And the fundamental key to shooting good footage with a Go Pro – let alone any other camera – is stability; like surgery, only a steady hand produces great results, and anything that improves this is a welcome bonus. 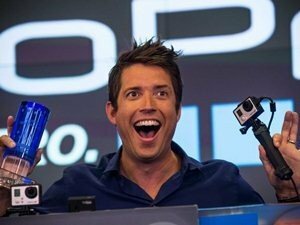 My Go Pro can do UHD and 4K, is 4k really worth it? 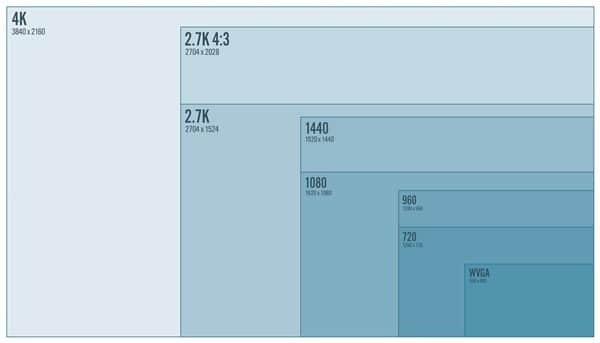 While if you are shooting for a production company then obviously 4K would be the format of choice, for the rest of us mere mortals UHD at 1080 with 30 frames per second is more than adequate. One of the biggest issues you will face by shooting 4K or with a high frame rate, is the processing power needed to edit the footage. In fact, you may find that with 4K your laptop/PC lacks the necessary processing power to work with the footage. In addition, you will need to have immense storage available to you since one hour of 4k video is 22.5 Gb. So a two-week holiday can easily fill up a hard drive all of its own. Being a photographer, why shouldn’t I just shoot video with my camera? While today’s cameras are awesome at shooting video as well as taking stills underwater, they are still not ideal for video like a Go Pro is. 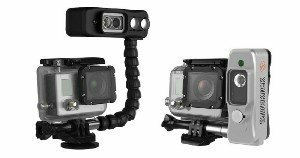 Additionally, in a lot of situations the perfect solution would be to be able to shoot video and photos at the same time, and this is where the Go Pro is ideal – they are so small and lightweight that you can mount it to your photo camera housing. This allows you to take perfect pictures while getting some great action footage at the same time. 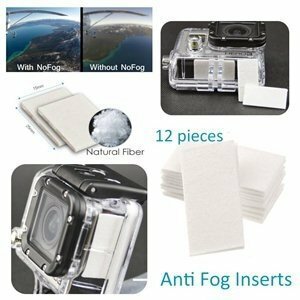 How to I stop my Go Pro fogging underwater? Well this is exactly the same process that make your mask fog, there is quite a simple solution for it. You can choose to either buy defogging inserts that fit in the housing and absorb any condensation being created. These are generally quite expensive. Alternatively, you can just cut up a Chamois leather into small pieces and pop them inside the housing and they will do a sterling job of absorbing all the condensation created from the heat of the device meeting the coolness of the water. Check out our video of Richelieu Rock with GoPro camera.